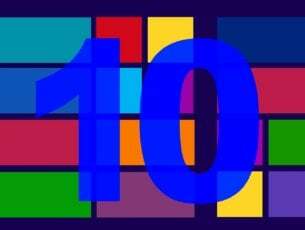 The Microsoft Store offers many services, products and apps that are ideal for Windows 10 PCs. However, some users report Microsoft Store PayPal not working issues. The reason for this problem revolves between Microsoft Store and PayPal itself. Therefore, Windows Report team has provided applicable workarounds to solve this Microsoft Store PayPal not working problem. Firstly, you need to check whether your PayPal account has been limited or not. Most of the times, PayPal users gets limited and ‘enforced’ by PayPal to provide certain documents before they can remove the PayPal limits. In addition, if your PayPal account has some flags or imposed limits, then you might have to contact PayPal to solve the problem. This method can potentially fix the ‘Microsoft store PayPal not working’ issue without any stress. Microsoft Store works only in certain regions, most especially the US. Therefore, another way to clear off Microsoft store PayPal not working problem ultimately is by changing your PC region to US region. Alternatively, you can change your date and time as well to reflect current US time. In the left pane select Region & language. In the right pane select United States as your Country or region. However, if Microsoft store PayPal not working problem persists, you can proceed to the next workaround. Another way of bypassing Microsoft store PayPal not working problem is by using VPN along with US based address for your payment info. Firstly, it is ideal to use VPN with dedicated IP address to access PayPal. 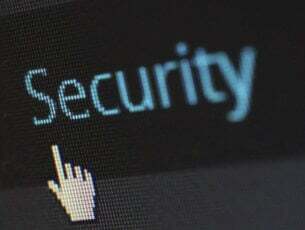 VPN goes a long way in protecting your identity and keeping your online activity anonymous. Some of the best VPN you can use with PayPal include CyberGhost, NordVPN, Hotspot Shield Elite, etc. In addition, after activating your VPN service, we do recommend that you use address generator such as namefake or fakenamegenerator.com to generate your US based address. In the name set tab, select your nationality. Now, in the Country tab, select American. Enter your ‘generated’ US address in the payment info tab as required by Microsoft store. Meanwhile, if you encounter Microsoft store PayPal not working problem after these workarounds-which is unlikely, then you should reset Windows Store. 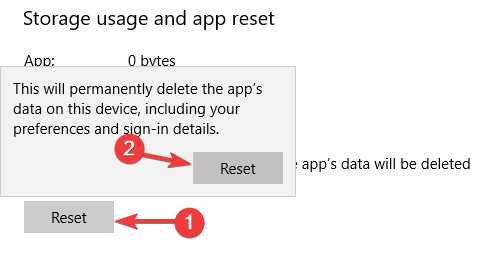 Another quick and easy solution to try out is to reset Microsoft Store to default settings. This method is effective in fixing the issue. Open the Settings app. Alternatively, press Windows Key + I. Afterwards, go to the Apps section. 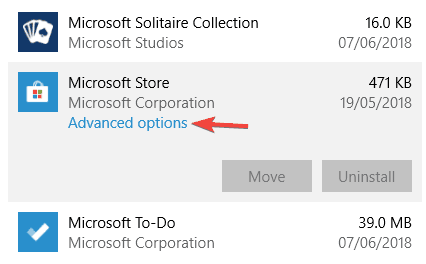 Select Microsoft Store from the list and click on Advanced options. Click the Reset button. 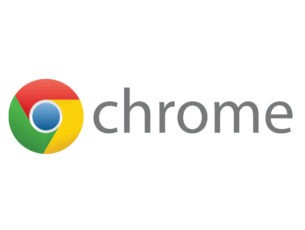 Now click Reset button in the confirmation dialog to proceed. Now, open the Store, sign-in to your Microsoft Account again, and then add your payment info when prompted to do so. If you still experience Microsoft store PayPal not working issue even after trying all the solutions mentioned above, the subsequent step is removing windows store database files. Locate C:\Windows\SoftwareDistribution\DataStore\DataStore.edb and delete DataStore.edb. After deleting the .edb file, restart your PC. Open Start screen and press Windows + R keys on the keyboard. 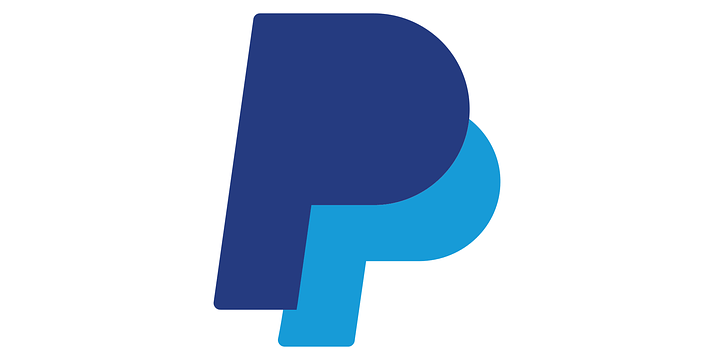 If you still have issues adding your PayPal account, then you might consider adding alternative payment methods such as debit card or credit card. However, in order to add a new payment method and/or update your payment method, you need to login with your Microsoft account to the Microsoft payments site. Sign in to Payment options with your Microsoft account. Fill in the required fields, then select Next, and you’re done. Sign in to the Microsoft account associated with the payment option you want to add. Under Payment options, select Add a payment option. Sign in to your Payment options with your Microsoft account. Pick a payment method, and then select Edit info. When you’ve made your changes, select Next. Sign in to the Microsoft account associated with the payment option to update. Note: Ensure that the country linked to the payment mode is the same as the country linked to your Microsoft account. Microsoft consistently releases patches which fix bugs and plethora of issues — this relates to Microsoft products and services most especially the Microsoft Store. Therefore, Windows Update might also be applicable in solving Microsoft store PayPal not working problem. In conclusion, you can also get in touch with Microsoft Store support team if you still experience Microsoft store PayPal not working problem. However, keep us informed if you have any other Microsoft Store issues or you were able to get it resolved from using any of these solutions by leaving a comment in the section below.